Although we thought it odd that Samsung would launch their big flagship for 2014 — the Samsung Galaxy S5 — without any mention of a Google Play edition, we didn’t doubt that the TouchWizless phone would eventually find its way into the Play Store. Today, the Samsung Galaxy S5 Google Play edition is making an appearance in the Play Store but with one small issue — it’s not actually available for purchase. 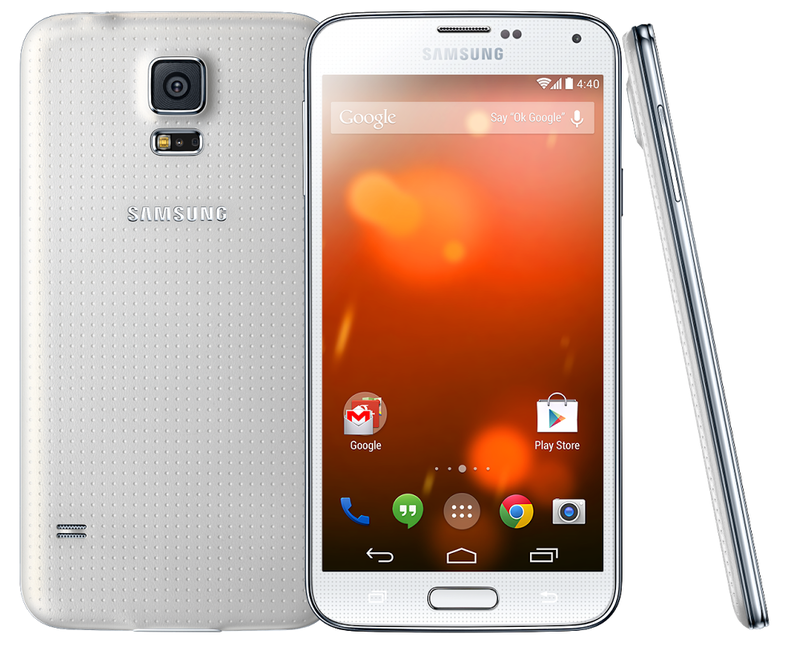 Thanks to a tip, we find Google has finally updated their Google Play edition device page with an image of the Galaxy S5, only it’s still being listed as last year’s Galaxy S4. A fluke perhaps? 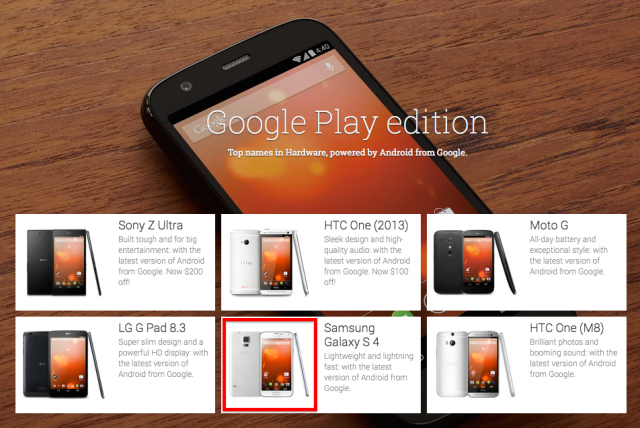 Or does this mean we can expect the Galaxy S5 Google Play edition to launch any day now? We’ll keep an eye out. Thanks, Tommy!